Louis Prima, between song numbers, tells how he happened to get a job in a Hollywood cafe playing music while a couple, unrelated to anything else, play a slot machine in the background. Special Notes: This short was reissued in 1944 and again in 1952. 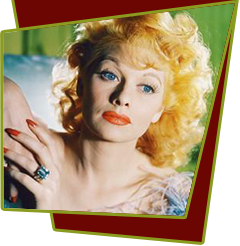 Lucille Ball has a bit part. Song numbers include; "Way Down Yonder in New Orleans", "Up a Lazy River", "Dinah", "Basin Street Blues" and "Johnny Get Your Gun."